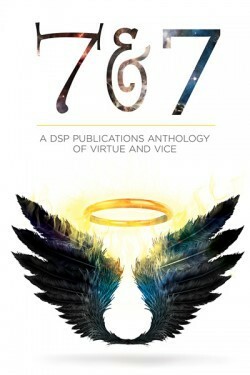 Firstly, I would like to say that I love the idea of this anthology. That was what inspired me to download it. I also enjoy the mix of genres since it allows something for everyone. Did I like all the stories, and do I think they all hit the mark? No. However, there are several I did particularly enjoy, and I think that will be the case for most people approaching this anthology, as it's likely not all genres will appeal to all readers. For me, two of the standouts were: The Bank Job by Andrea Speed and Train to Sevmash by Jamie Fessenden. I also thought The Rendering by John Inman was a great read. I've seen a lot of reviewers acting with horror towards this one, or dismissing it as fat-shaming, but I think that's unfair. This is a horror story, and a gruesome, twisted one at that. Not every piece of fiction has to be politically correct or 'nice', and I think literature would soon become deadly dull if it was. There are times when fiction should just be read as fiction. Overall, I give this anthology 3*; although some stories I would award 4* to individually.